Myles Gaskin finished with 75 yards to surpass Husky legend Napoleon Kaufman and become the Huskies' all-time rushing king. Myles Gaskin took a handoff from Jake Browning at the 50-yard line, cut left and raced for a first down to the Auburn 25-yard line midway through the third quarter. 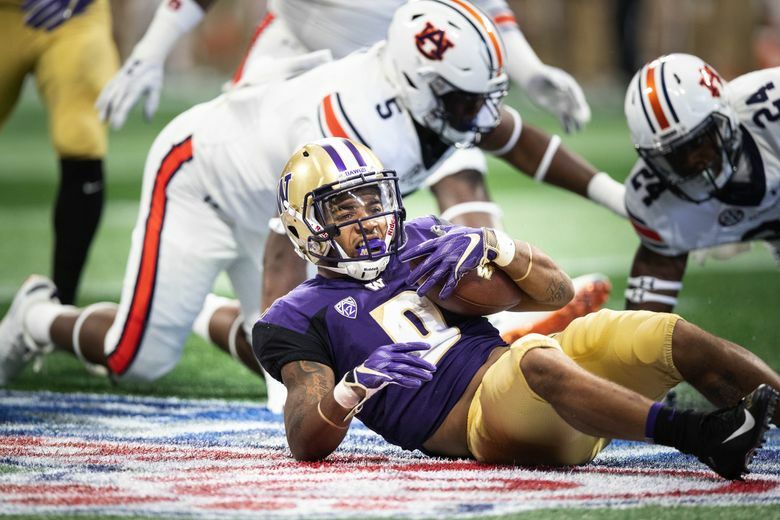 With that run, Gaskin surpassed Napoleon Kaufman to become the Huskies’ all-time rushing king. Gaskin came into the game needing 52 yards to eclipse Kaufman’s 24-year-old mark. He finished with 75 yards on 17 carries Saturday. He now has 4,130 yards in his career, making him the NCAA’s active rushing leader.